Looking for an insurance quote for your vehicle recovery company? Don’t get just 1 quote, get 3! Your vehicle recovery business needs a reliable, affordable insurance policy. Easier said than done. Finding a good quote on insurance for your recovery operation can be tough—either the insurance company is untrustworthy, the quote is too high, or you get the feeling that your agent doesn’t understand your industry. We’ve made getting an insurance quote simple. Go to this page, fill out one free form, and we’ll get you in touch with three insurance agents who specialize in vehicle recovery insurance. 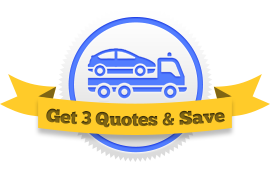 They’ll offer you three quotes and you can select the one that’s best for your business. Get started now. Your agents might be in contact with you before they issue the quote to ask you some follow-up questions regarding driver and equipment schedules, loss runs, and current policy dec pages. We send the details of your business to three agents who specialize in vehile recovery insurance. They will each, independently, compile their best quote for you. They’ll then get in touch with you with their offer. There is no obligation on your part to accept any of their offers—you just get a more objective look on the different insurance policies available to your business. You should choose which company to go with based on their offered price, the quality of their coverage, and their standing in the insurance marketplace as determined by an independent auditing organization, like Moody’s or A.M. Best. Do they offer 24-hour claims service? Do they have fees for early cancelation? Do they provide for original equipment manufacturer (OEM) replacement parts? Do they have payment plans that fit your business? Do they offer bundled coverage with general liability and other non-vehicle specific coverages? To get started, simply click the graphic below. It’ll take you to a short form, and once you fill that out, our agents will be in touch to offer you the best insurance policy they can. Get 3 quotes from 3 agents no matter what type of operation you have.